What Are Cannabis Essential Oils? The medical community’s attention is shifting towards the green spectrum of whole-plant medicines; a category that cannabis essential oils (CEOs) slot nicely into. Cannabis is by no means a new discovery for the pharmaceutical world. Back in the 1840s, the cannabis plant was welcomed into Western medicine by a surgeon called W.B. O’Shaughnessy. According to the U.S. National Library of Medicine, the plant contains over 400 chemical entities, many of which can be developed for medicinal purposes. Rewind further back in time to the 15th century BC and cannabis was included in the Chinese Pharmacopeia! Praised by ancient physicians for its anticonvulsant, sedative, anti-inflammatory, antispasmodic and analgesic effects, the five-fingered plant is gradually rebuilding its reputation as a therapeutic powerhouse… especially when administered in oil form. Cannabis’ legal status is TRANSFORMING – something that is contributing to the rise of cannabis essential oils. So, what are they and how could the benefit your lifestyle?Let’s find out. How is cannabis essential oil made? Intensely green in color and potent in its organic composition, cannabis essential oil is intended for aromatherapy use. It is extracted from the flowers and leaves on the plant’s (Cannabis sativa L.) upper segment. The oil comprises a wide range of active organic compounds, including sesquiterpenes and monoterpenes. 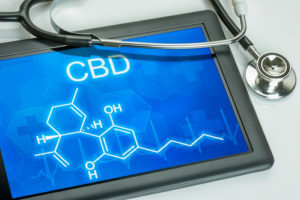 Hemp-derived cannabis essential oil is usually high in CBD (cannabidiol), since it is non-intoxicating. The pure potency of cannabis essential oil was revealed in a recent study by N Gulluni, which saw researchers from an Italian university explore the effects it has on the brain. Results were predominantly positive, with the study subjects experiencing reduced levels of anxiety, stress and depression after being administered with the oil. Patients reportedly felt “relaxed and calm” following administration of the cannabis essential oils in small doses. “These findings provide evidence that brain wave activity autonomic nervous system response and mood states were affected by CEO,” said the researchers. Researchers from the university went on to say that self-evaluation indicated how the level of well-being and relaxation was heightened when test subjects inhaled cannabis essential oils. So, what are limonene, myrcene and β-caryophyllene (Caryophyllene)?Well, these active medicinal components occur naturally in the cannabis plant, called terpenes. Myrcene is a powerful analgesic, sedative and muscle relaxant, while caryophyllene is a natural anti-inflammatory. Limonene is a powerful antioxidant with anti-cancer properties. Cannabis essential oils are not limited to these “healing” components, however. Other common cannabis terpenes (or terpenoids, as they are scientifically known,) include linalool, pinene, eucalyptol and delta-3-carene. The terpenes contained in cannabis essential oils depends on the strain’s genetic composition. However, limonene, myrcene and β-caryophyllene are more frequently found in the oil. A single dose of cannabis essential oil will provide your body with a bundle of medicinal components that can work in synergy to produce what is known as the “Entourage Effect”. This is especially true when the oil is administered by means of inhalation. Heart Health – A growing body of evidencesuggests that cannabis’ non-psychoactive compound CBD (cannabidiol) is beneficial for the cardiovascular system, making the heart a therapeutic target for cannabis essential oil. PTSD – When administered in acute doses, CBD-rich cannabis essential oil can help to relieve the symptoms of post-traumatic stress disorder (PTSD). It may also induce a peaceful night’s sleep, according to a 2017 study titled “Cannabis, cannabinoids and sleep”. Anxiety/Stress and Pain Relief – A preliminary studyon cannabis essential oil proved how it can decrease pain, as well as relieve the symptoms of anxiety and stress. Appetite Booster – Cannabis is often used as a medicine for people with anorexia or suppressed appetite caused by chemotherapy treatment. The essential oil from THC-rich cannabis has been shown to increase feelings of hunger. Cancer – The active ingredients contained in cannabis essential oil may provide cancer patients with widespread benefits, According to a study on using cannabis in clinical cancer care, the oil may relieve chemotherapy-induced nausea, depression, insomnia and pain. Eye Health – Research gleaned from studies on cannabis and glaucomain the 1970s reveal a link between THC and intraocular pressure. By using cannabis essential oil, it is possible to prolong eye health. Asthma– Vaping cannabis essential oil or applying a few drops to your pillow at night will help treat inflamed airways and keep the symptoms of asthma at bay. In fact, one studyshows how cannabis users who vaporize may experience decreased respiratory symptoms. Skin Care– As a natural anti-inflammatory, cannabis essential oil can be applied directly to the skin to soothe it. Hemp essential oil is especially good for minimizing acne and pimples. Introducing cannabis essential oils into your daily routine needn’t cause hassle. Transdermal administration is a popular choice for people with skin conditions, joint aches and pains. By transdermally applying cannabis essential oils to the problem area, cannabis’ active ingredients can be absorbed through the skin. Alternatively, you may choose to vape the oil. This is perhaps one of the fastest routes of administration. However, you should understand that cannabis essential oil is different to cannabis oil, due to the fact it comprises lighter aromatic terpenes.